A 15 tonne load limit for Allenders Bridge on Warrak Road near the Ararat Prison will be introduced from Monday, September 4 2017. Stock photo - please note this is not Allenders Bridge. The existing four span bridge was constructed in 1953 over Three Mile Creek by the Country Roads Board (CRB). 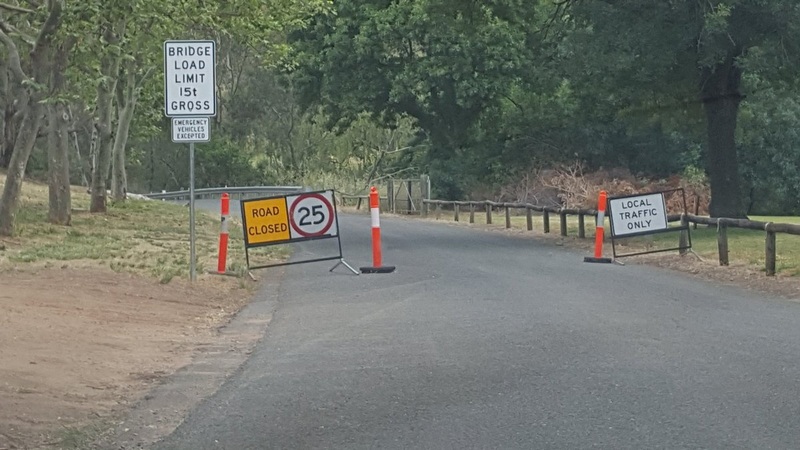 Following an independent assessment of the bridge superstructure (structural assessment), the Ararat Rural City Council agreed to implement a 15 tonne load limit on the bridge at its May Council meeting. The independent assessment recommended implementing a load limit to reduce the rate of deterioration on the structure suggesting the rate of deterioration will be greater if heavy vehicles frequently use the bridge. Whilst Council understand the restrictions will have a significant impact, the safety of users on our road network must be considered as a priority. Planning has commenced for the replacement for Allenders Bridge in the 2017/18 financial year, with a structure suitable for carrying heavy vehicles including B Doubles. For further information please contact the Design and Project Management Coordinator on 5355 0223.